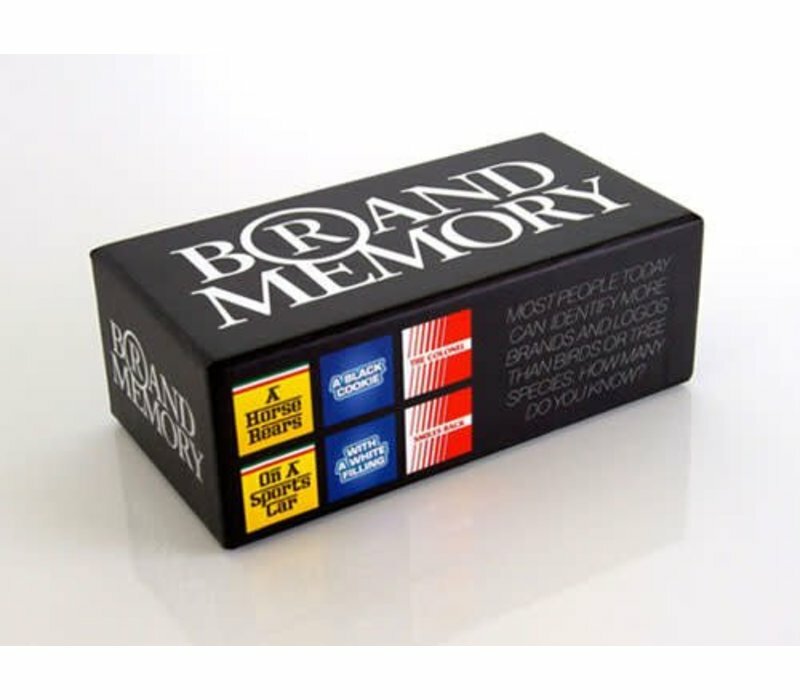 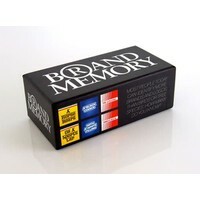 Brand Memory Game has twenty-five sets of cards in which the pairs of cards that match are not identical, but clearly form a set through a thematic connection. 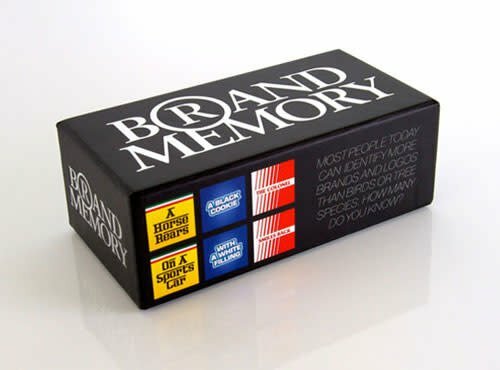 In this case the connection is a world famous brand. 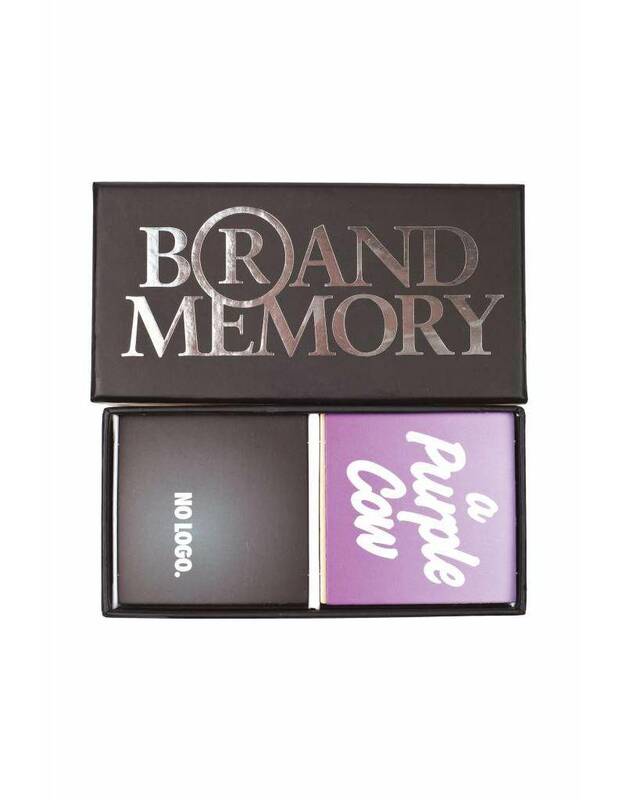 Most people know more brand names than birds, flowers, or tree species. How many brand names do you recognize? 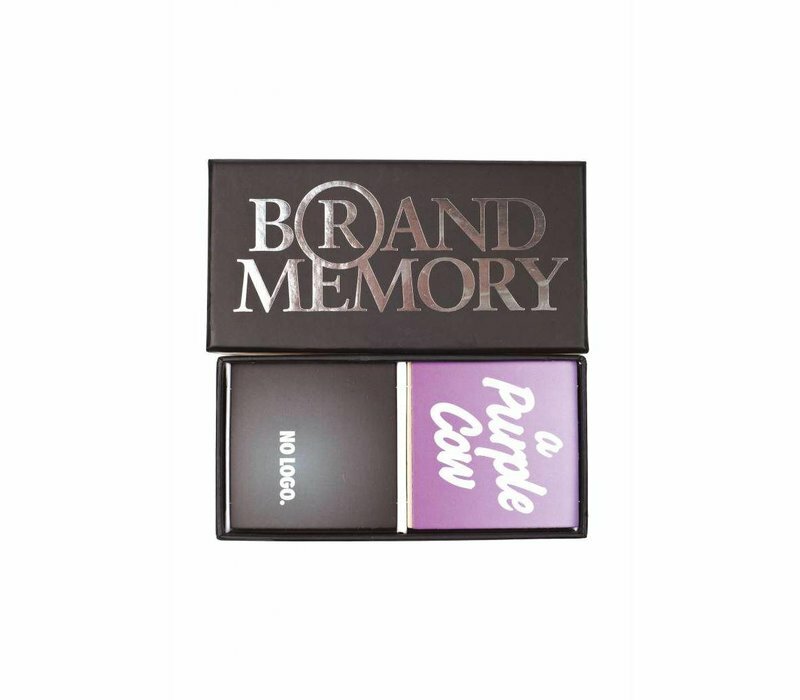 This memory game makes it slightly difficult because the brand name itself is not mentioned on the sets of cards: the player only has the brand colours, typefaces, and an often funny description of the brands visual look to help the player to find the matching cards.